Lionel Rose. The Erosion of Childhood: Child Oppression in Britain 1860-1918. New York: Routledge, 1991. Pp. 294. Pollard, Juliet. 1993. “Lionel Rose. The Erosion of Childhood: Child Oppression In Britain 1860-1918. New York: Routledge, 1991. Pp. 294.”. 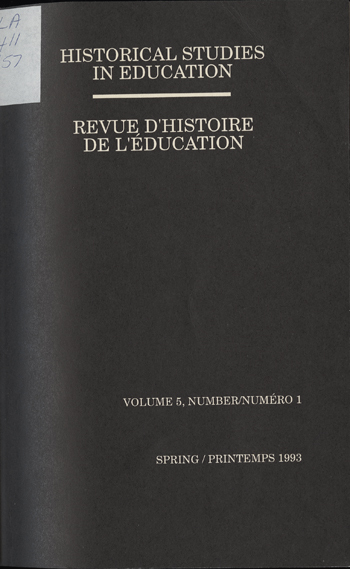 Historical Studies in Education / Revue D’histoire De L’éducation 5 (1), 159-62. https://historicalstudiesineducation.ca/index.php/edu_hse-rhe/article/view/1017.